My picky kids LOVE this recipe. 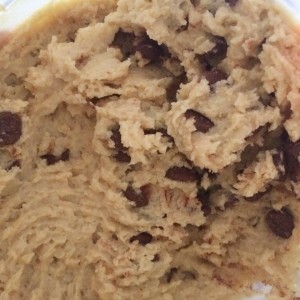 In a food processor or blender combine everything except for the chocolate chips and puree until smooth. Scoop out the dough and mix in the chocolate chips. Store in a resealable container and chill. This is intended to be eaten raw since there are no eggs.